Some album companies require the album design to be submitted in a PDF format, and often it is required that the PDF is under a certain file size. If your album contains many spreads, it's possible that the print lab will reject your design due to the fact that the PDF file is too large. To address the issue, you will need to reduce the file size by changing the image quality of the export by following the directions below. 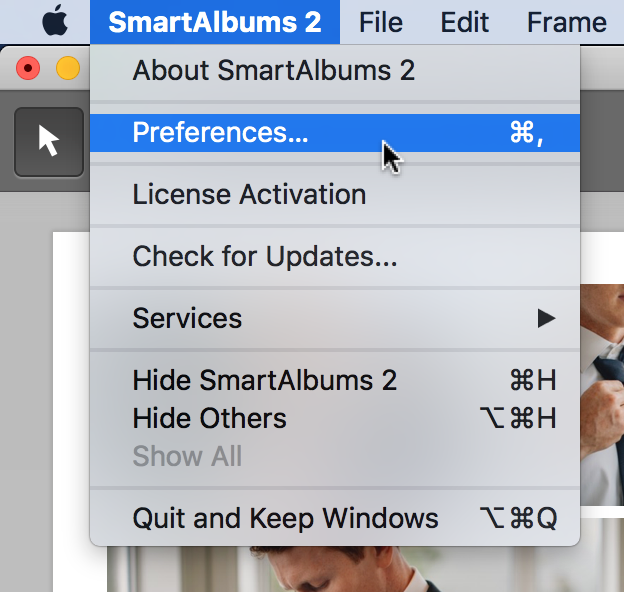 Click on Tools, select Preferences, and choose the Image Quality tab. 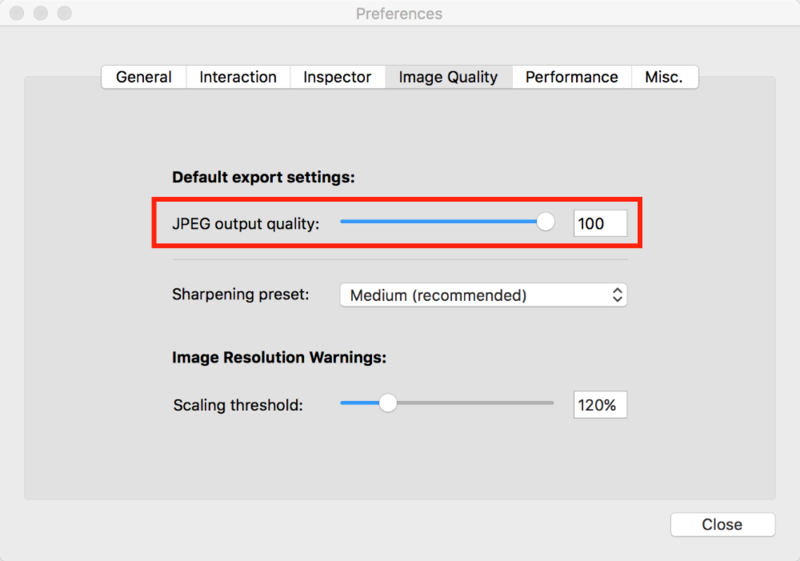 Reduce the JPEG output quality setting from the default of 100. This setting affects the PDF export, as well as JPEG export. At the setting of 100, the exported images are not compressed in any way, and are exported at the maximum possible quality, which greatly increases the file size. As soon as the quality setting is reduced, even if by 1 point, some compression is applied to the export, which greatly reduces the file size of the exported files. Here is how the JPEG output quality setting affects export sizes. Note that the percentages below are estimates, and are not intended to be precise. Note: The functionality of this feature is not available for the Windows version of SmartAlbums at the moment. This feature will be up and running for Windows early-2018.